This topic contains 6 replies, has 2 voices, and was last updated by Tim Edwards 4 months, 2 weeks ago. 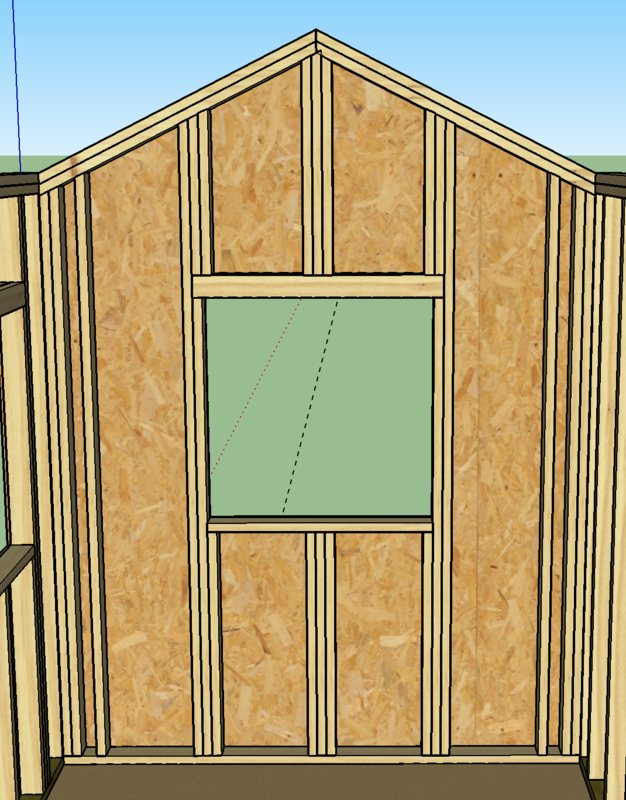 I’m designing a shed with balloon framed gable end walls. 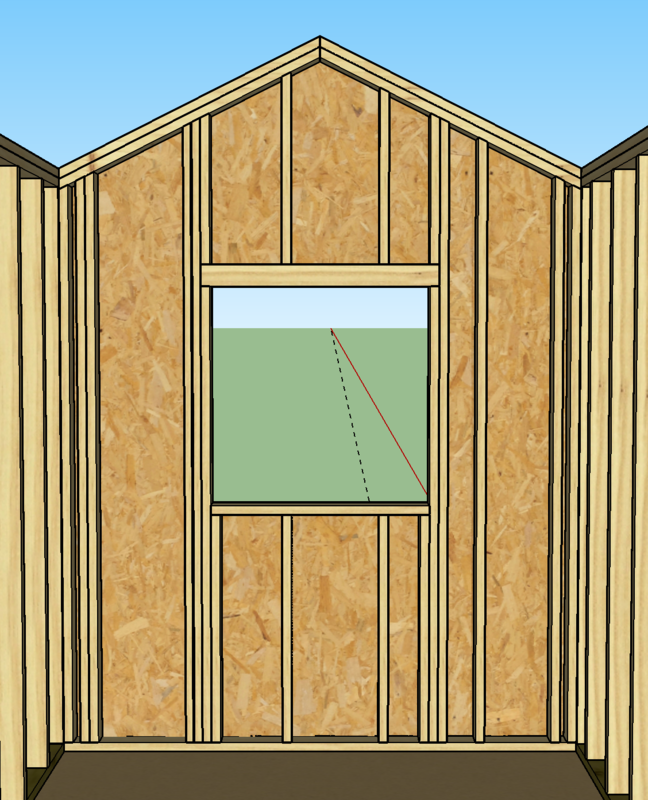 I’m not sure how these walls are framed in actual construction, but I would like my gable walls to be framed such that there is a stud (or two or three studs, perhaps) directly in the center of the wall going from the sill plate to the peak of the gable and the remaining studs to the left and right positioned symmetrically. Is there a way to do this? Granted, I have been able to achieve the desired result by manually moving and resizing studs (first image above). The problem is if I edit any of the properties of the wall, or a window or door contained within it, all of my changes to the framing are undone and it reverts to the default framing generated by Framer (second image above). This topic was modified 5 months ago by Tim Edwards. Is there a way to include images in a post here? I used the “img” tags and provided URLs. Figured out the images/URL. Also, hopefully it’s clear in my initial post that the center stud(s) would go from sill plate to the peak if the wall had no window. With a window, the desired framing is reflected in the image. This reply was modified 5 months ago by Tim Edwards. Unfortunately there is no way to customize the spacing, at least in this version. It is on my wishlist for my programmer to investigate possibility. There is also a known limitation for gable walls with openings, in that the header cannot be below the shortest segment of the wall. Working on a solution for that as well. Thanks for the response and a great plugin. Could you clarify what you mean by “There is also a known limitation for gable walls with openings, in that the header cannot be below the shortest segment of the wall.”? I think I’m reading it too literally because I’m looking at the gable wall with the window as framed by Framer in the picture above and the header of the window is below the shortest segment of the wall, assuming I’m correctly understand what you are referring to by “the shortest segment of the wall”. Question – do you use Estimator? Since I always need takeoffs, it is important to model it as you would build it – just curious. Sorry for the delayed response. I have not used Estimator. Laying out the framing for this shed was something I did sort of on a whim for my brother-in-law who was planning to order a pre-made shed, not knowing if my layout would ever get used. Now that he has found out the shed he was ordering won’t be approved for a permit due to hurricane requirements (he lives in Florida), who knows, it may get used in some form after all. To further address your question, though, I don’t do framing layouts with any regularity, so I haven’t been in need of something like Estimator. But I do recognized the value of such a tool and wish you the best of luck with it.